Bike Walk Madison works to build a community that provides universal safe and inviting access for bicyclists and pedestrians. We believe that citizens, organizations, businesses, and government can and SHOULD work together to improve the quality of life and safety of our community. Bike Walk Madison is an all-volunteer effort. 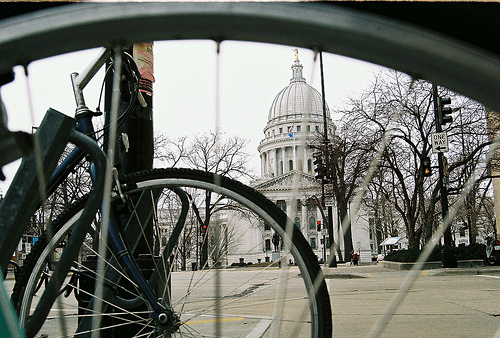 If you or your business would like to get involved, please contact us at bikewalkmadison@gmail.com We'd be happy to work with you on an idea or project of your choice, or to help hook you up with existing initiatives.